R. Kelly, who was arrested last month on 10 felony counts of sexual abuse against four women spanning 12 years, called the allegations against him “not true” in a new interview with CBS reporter Gayle King. 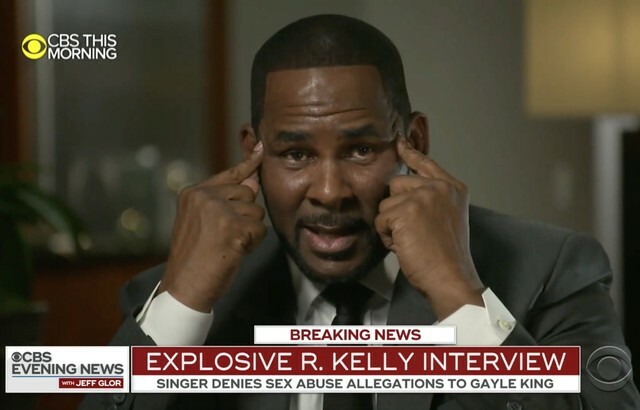 Kelly also addressed the camera and described accusations that he has detained women against their will as “stupid.” It’s the singer’s first interview since he was criminally charged in Cook County, Illinois. Kelly’s next court date in Illinois is scheduled for March 22. Three alleged victims in the case were under 17 at the time of the singer’s alleged abuse. Kelly reportedly still lives with two women whose parents have claimed they cannot contact their daughters. His full interview with King airs on Wednesday. Watch clips of the conversation below.